3 Get a teacher. 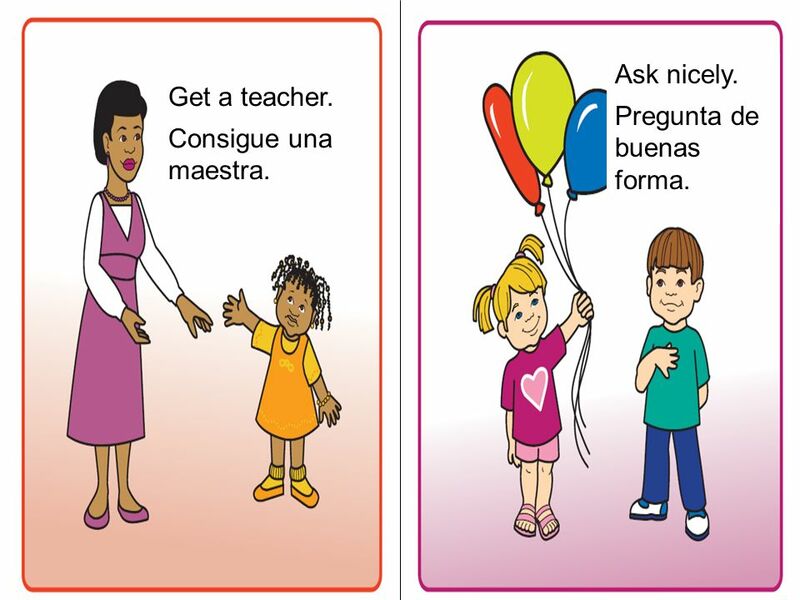 Consigue una maestra. Ask nicely. Pregunta de buenas forma. 4 Ignore. Ignora. Play together. 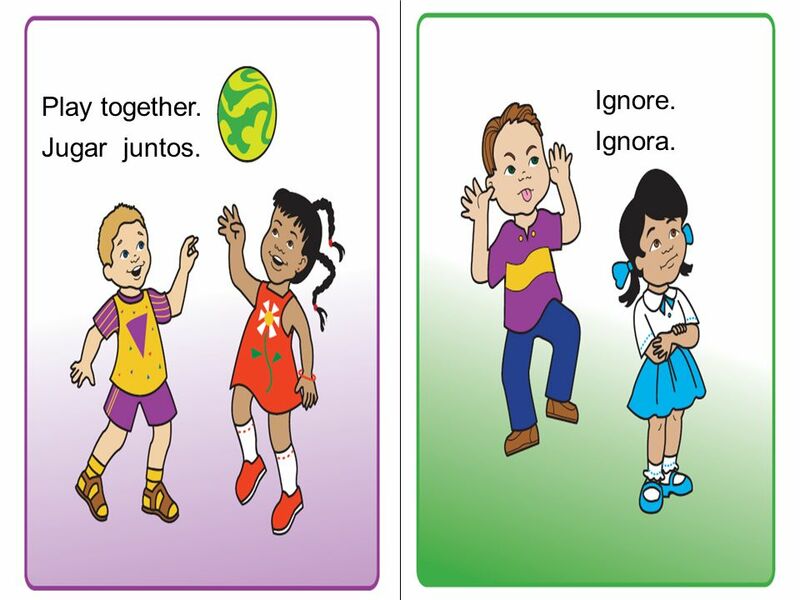 Jugar juntos. 6 Trade. 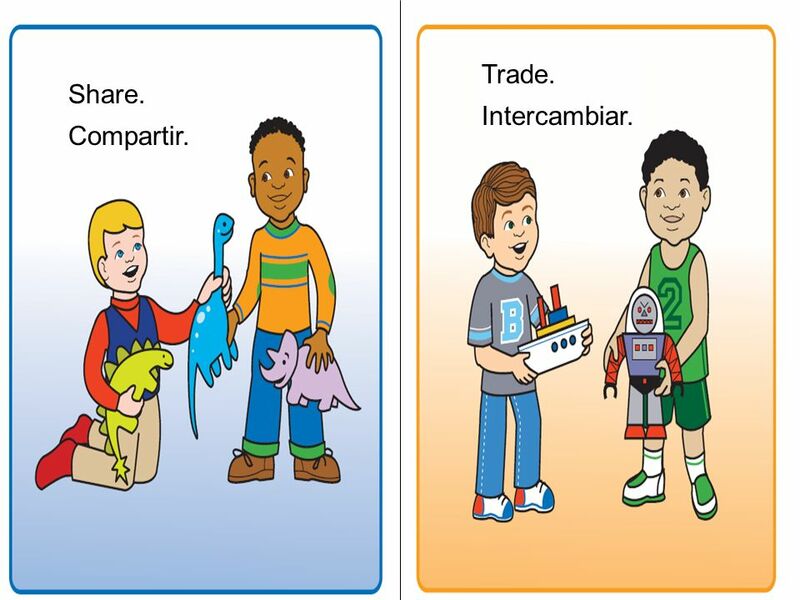 Intercambiar. Share. Compartir. 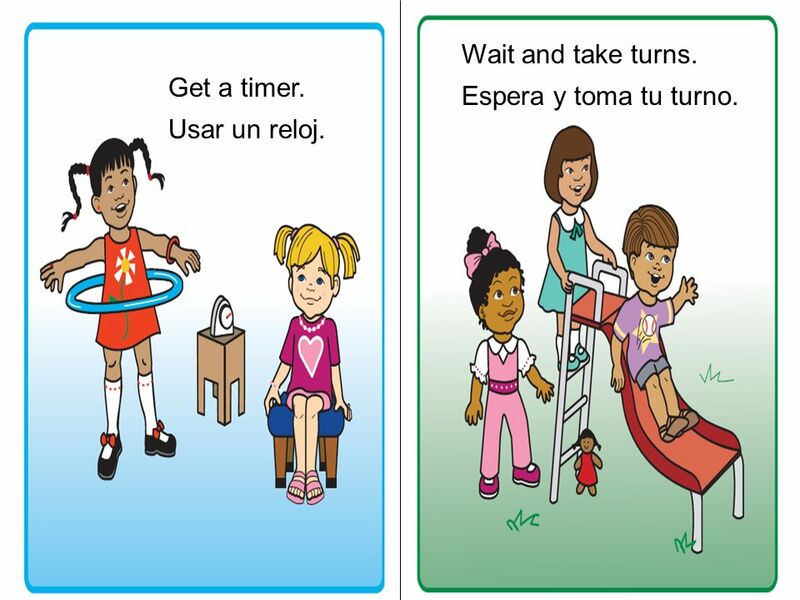 7 Wait and take turns. Espera y toma tu turno. Get a timer. Usar un reloj. 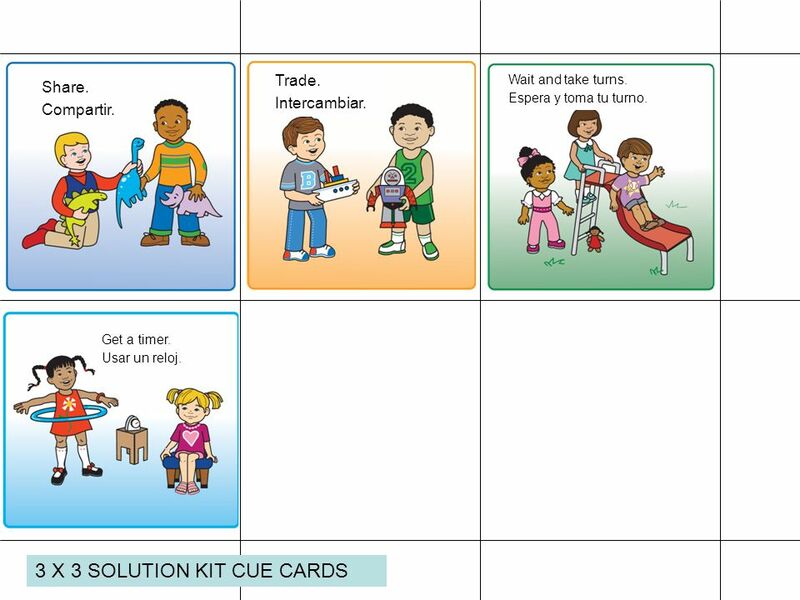 Download ppt "3 X 3 SOLUTION KIT CUE CARDS"
Directions: 1. Print game board. 2. Use the colored marker pieces below and a die from around the house. 3. Taking turns, roll the die and move marker. ¿Puedo….?. 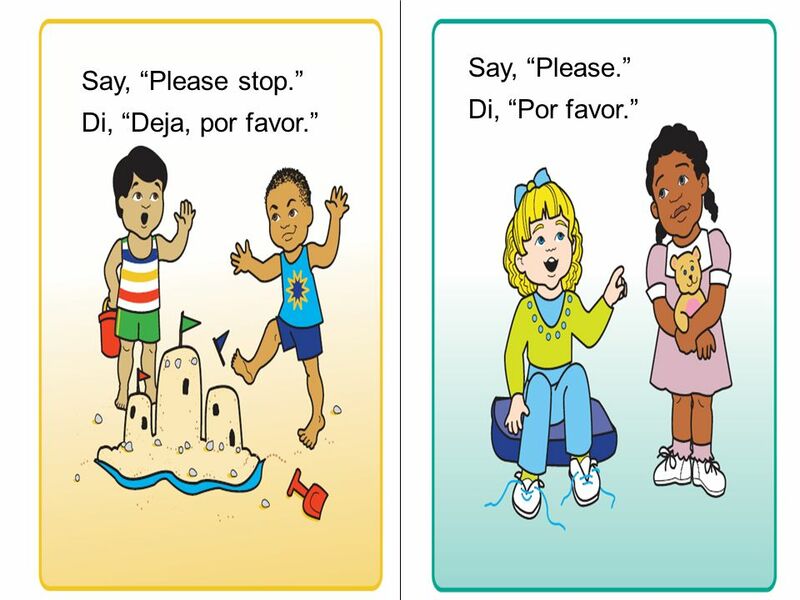 ¿Puedo usar _______, por favor? Am I able to use ________, please? ¿Puedo tener ________, por favor? Can I have ________, please? ¿Puedo tomar. Assignment Create (using paper or on the computer) a nice card to give to another student in class. The card needs to show each of the elements of design. Produced by the Riverina Schools Project Partnership, 2009 Talk To Me Lesson Thirteen Using Language to Solve a Problem. Getting Kiked Can Hurt  You`re on Kik, and all of the sudden, you`re friend types a mean message. What do you do? A) You tell your friend how B) You. Welcome!. 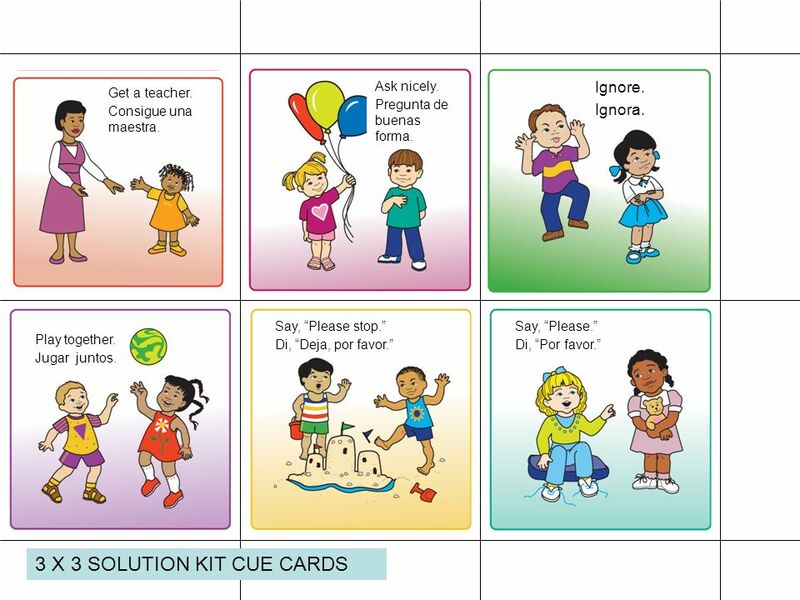 Los objetivos de hoy (Today’s Objectives) ( Greetings & Introductions ) Students will… 1)…meet the Teacher 2)…learn basic greetings to use. My PreK Friends. I have many friends in Mrs. Haynes’ class. Sometimes I want to play with my friends.